Start earning your degree or certificate. Or get a jump on fall with transfer credits. 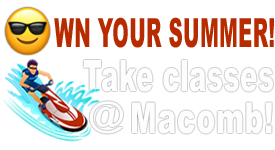 Classes fill up quickly! Start now. We value your privacy and will never rent or sell your information.